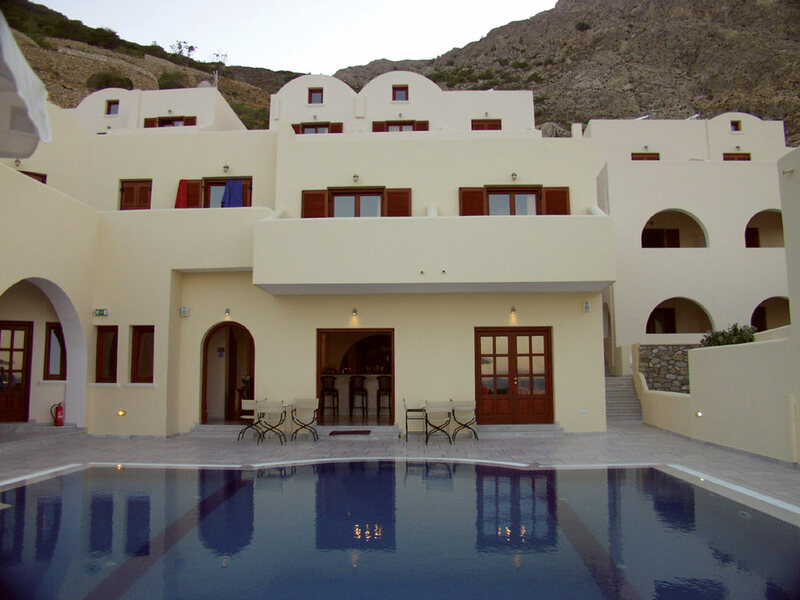 Epavlis Hotel is situated on the foot of the mountain where ancient Thira is also found. 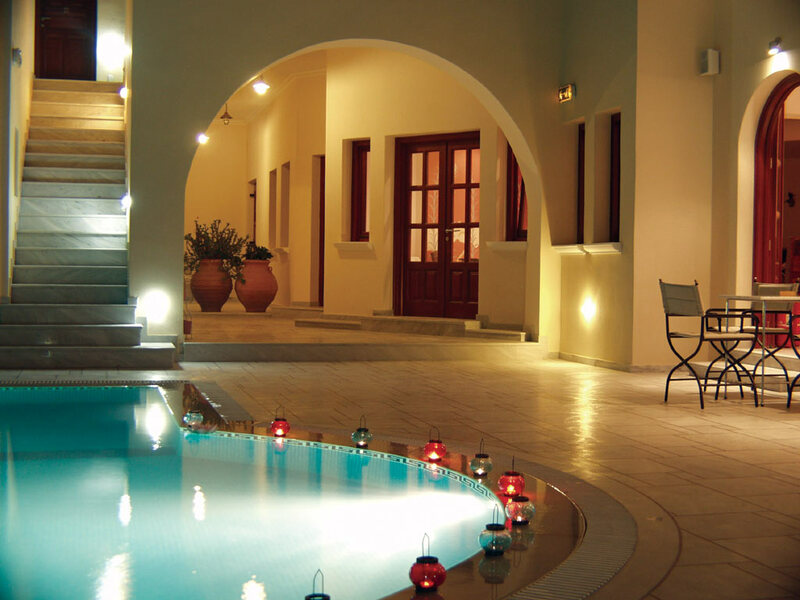 From the hotel you can walk to one of the best known beaches of Santorini, that of Kamari. 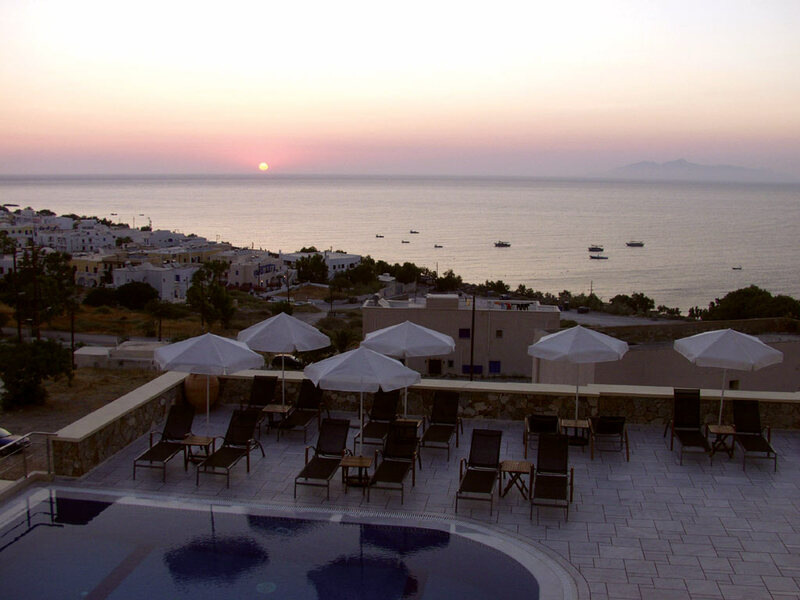 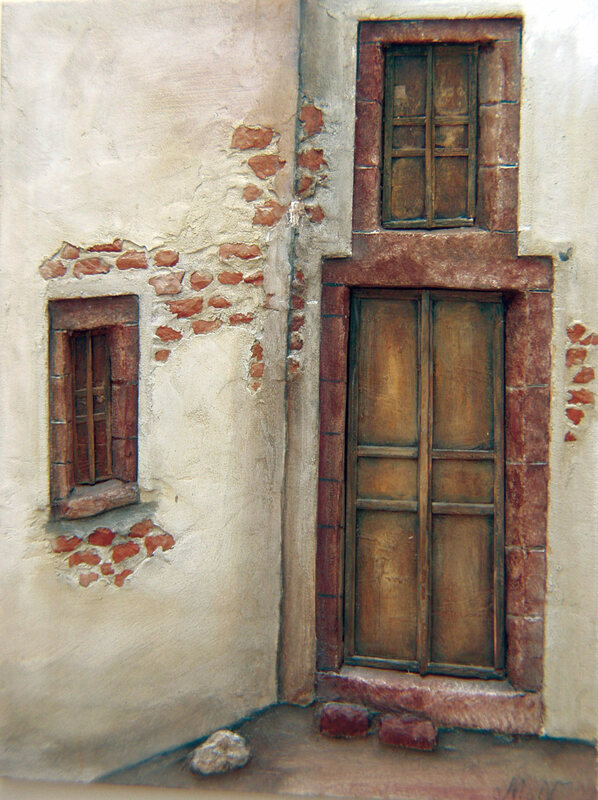 Many are the restaurants and the traditional taverns at the length of the coast, where you can enjoy dishes from the Greek or the international cuisine. 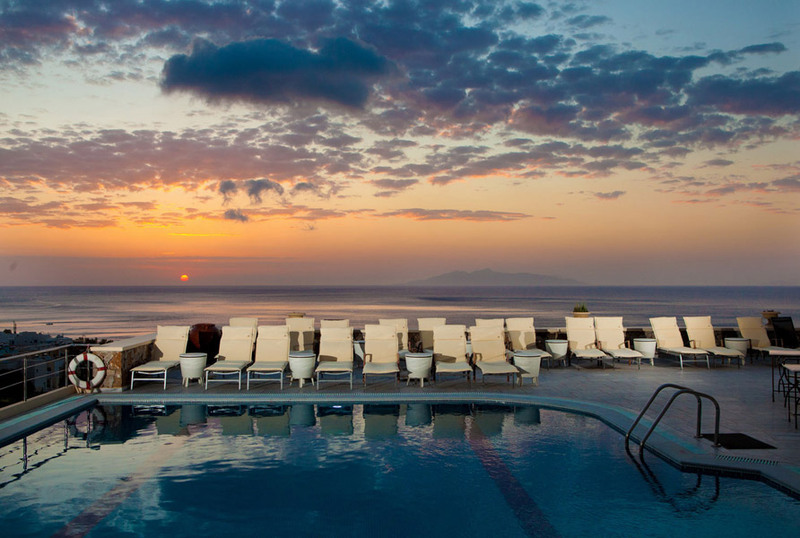 The A class hotel Epavlis is a new complex situated in Kamari village 150 m away from the beach. 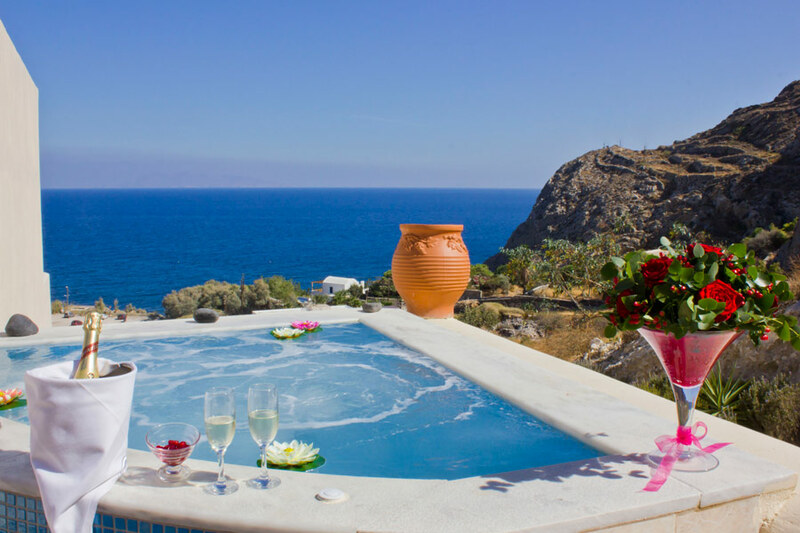 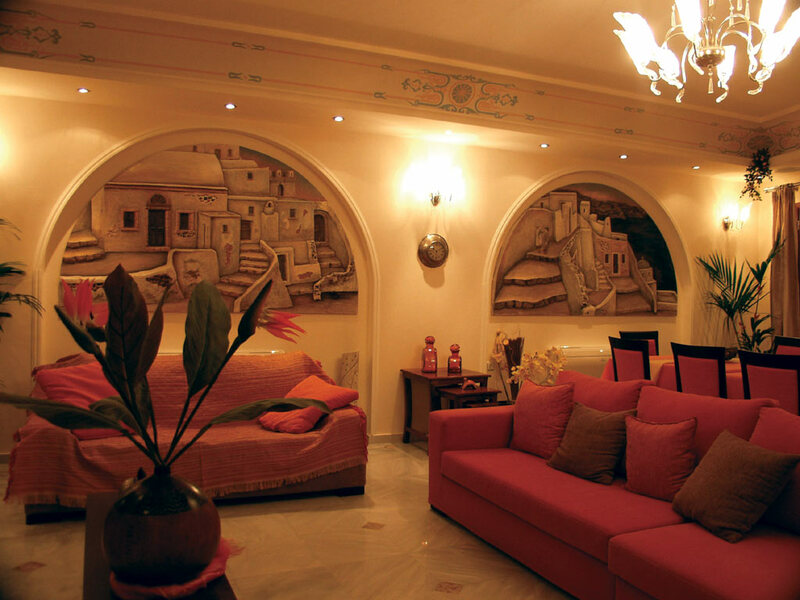 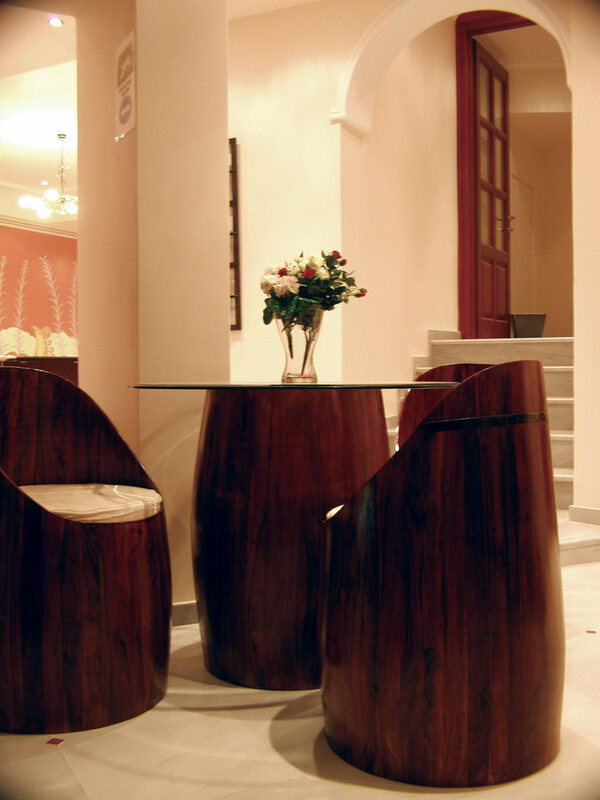 The hotel is built amphitheatrically according to the traditions of Cycladic architecture. 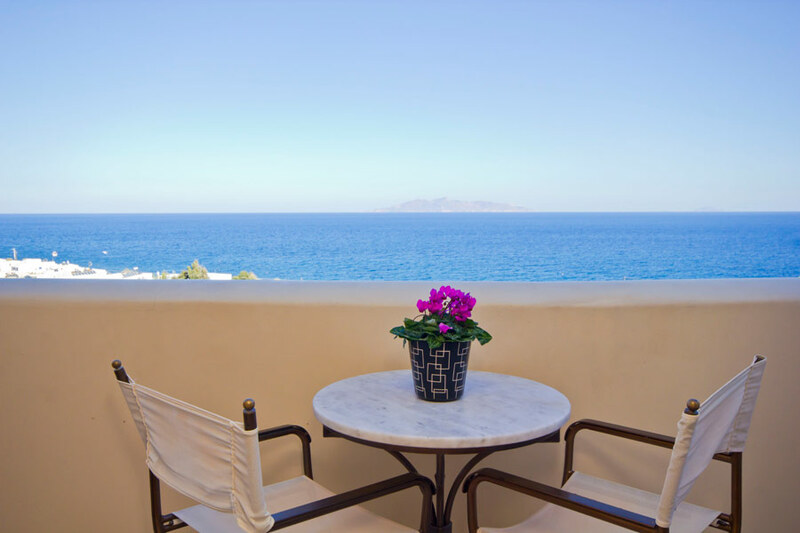 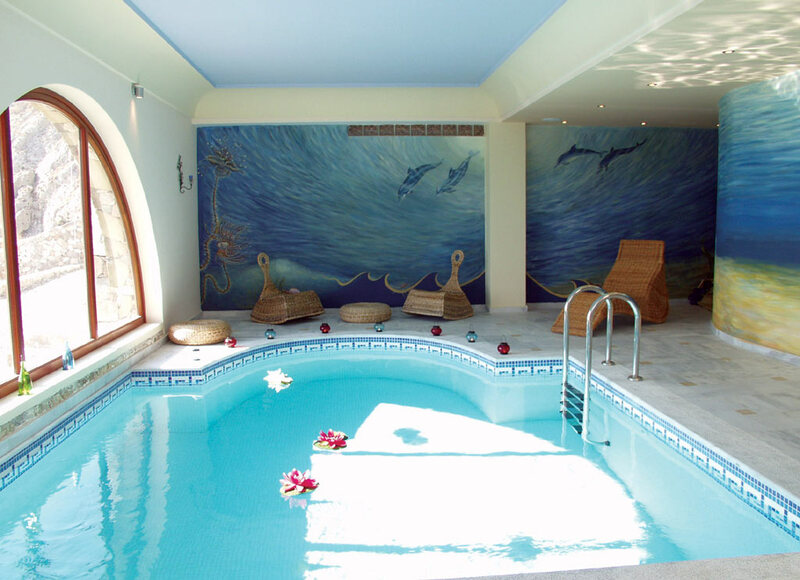 Most of the rooms have Sea view balcony or terrace, some of them look to the swimming pool, some to the mountain. 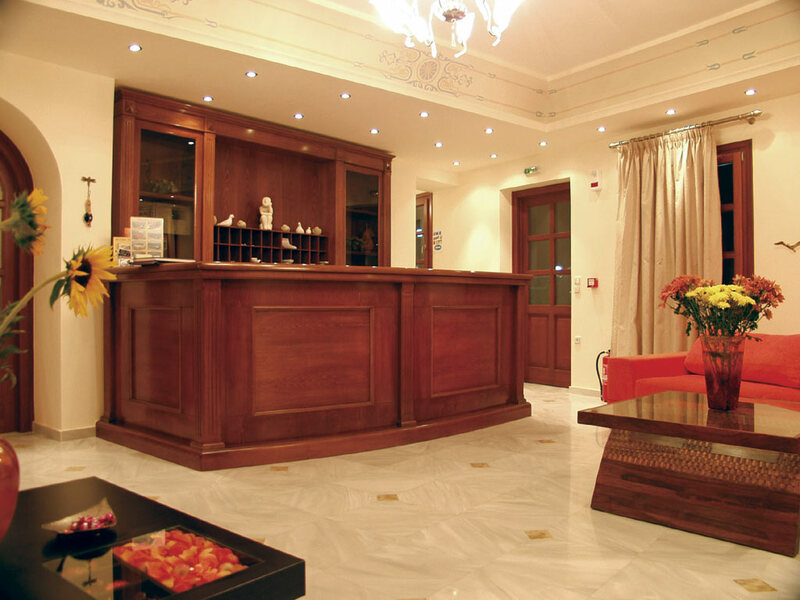 The hotel has 45 rooms (11 triple, 33 double and 1 with two double & 1 single bed). 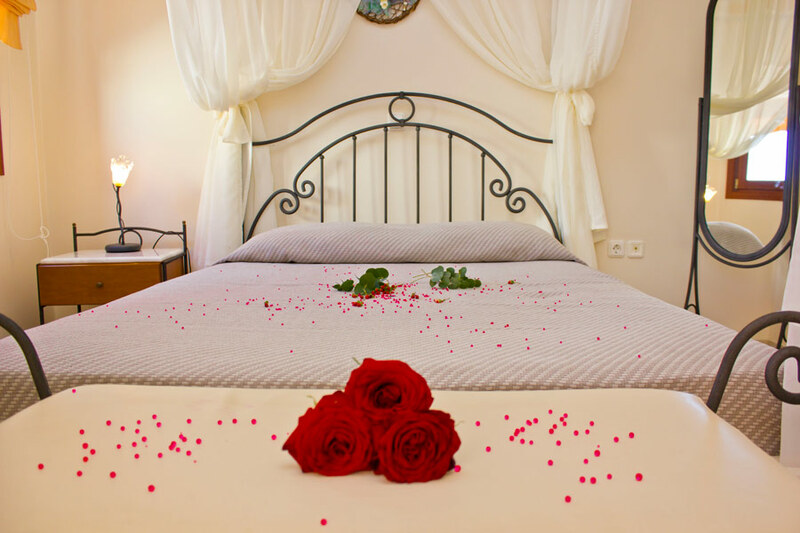 Every room is equipped with air-conditioner, LCD TV, safe-box, telephone, fridge, hydromassage bath or shower cabine, hair-dryer.Three of the rooms have private outdoor jacuzzi. 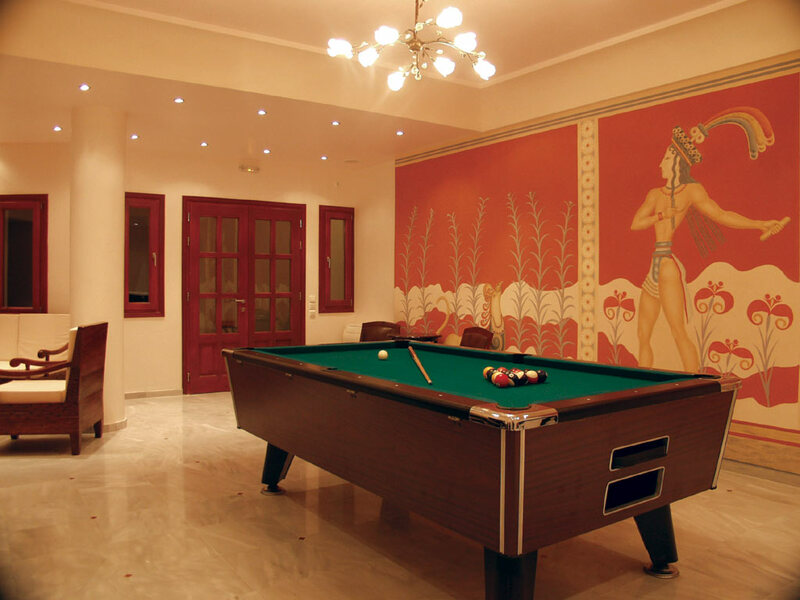 The hotel is supplied with pool bar, snack bar, gym, Turkish bath, sauna, outdoor jacuzzi, indoor and outdoor (warming) swimming pools, billyard and tennis tables, playground, massage room, hairdresser\'s salon, breakfast buffet, internet service, laundry. 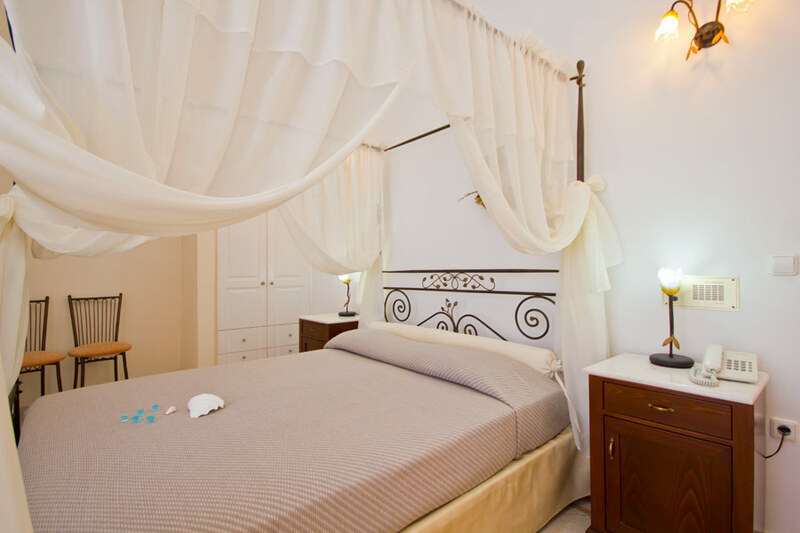 The owners are hospitable and the personnel is very helpful, in combination with comfort offered it will really make your holidays memorable.